It is always going to be difficult to adequately rate a card, and all the ratings are obviously going to be subjective, although we have tried to proximate an objective rating. The rating system is 0/1-5, with 0 being absolutely useless, 1 being the rating of a card that will rarely see play and 5 a card that will become a staple in many decks and will most likely feature heavily in competitive play. 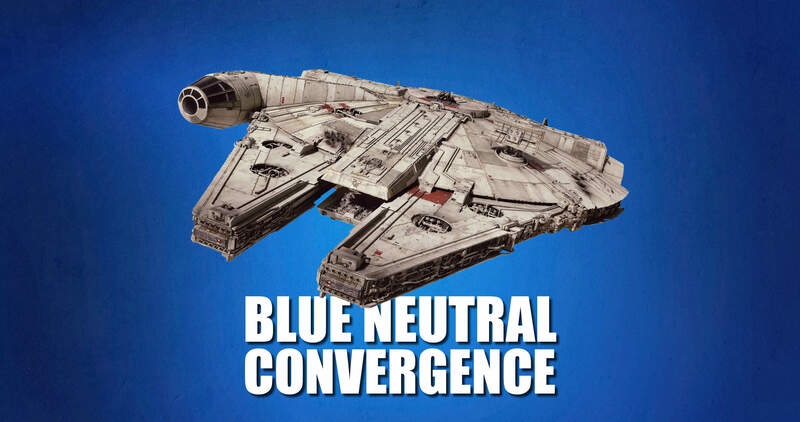 Across the Galaxy was not a good set looking at the cards gained for "neutral blue" and Convergence seems to continue that unfortunate trend. Maybe we've become too accustomed to some of the best cards in the game being "neutral blue" than we have difficulty adapting to the "normal". Knowledge of an opponent's hand is great if you can do something about it. 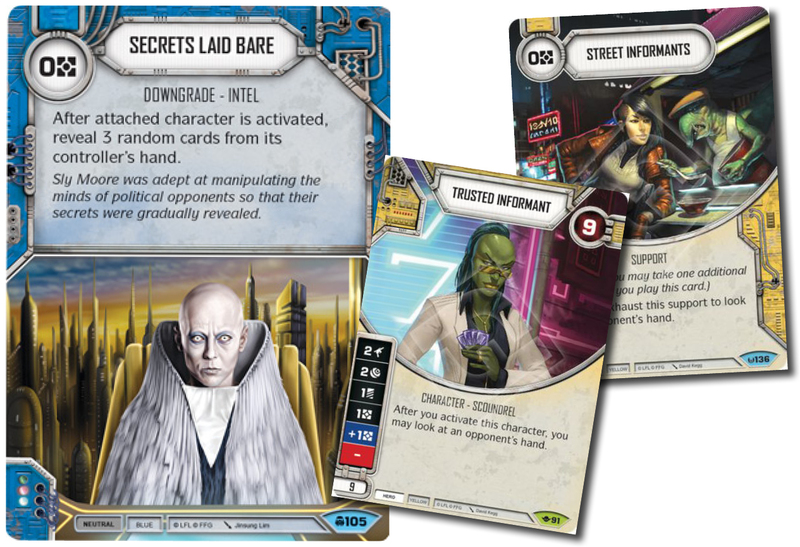 How often have you seen cards like Street Informant or Trusted Informant played? Right. Well ... Trusted Informant was also superbly overpriced, but I'm sure Secret's Laid Bare will suffer the same fate. It feels like a waste of space in almost any deck. The ceiling for Attunement is pretty high if you can fulfill all three requirements, having a die showing Melee and a die showing Shield and a die showing Blank. It should be pretty strong due to its versatility. It's very unreliable as a mitigation card, and shouldn't be regarded as such, but is a great jack-of-all-trades. That's of course not going to be the only use for Circle of Shelter, although one of the stronger as it functionally becomes a 0cost My Ally Is The Force. Could be our replacement for Deflect without the damage swing advantage, but also affecting Indirect damage which makes it infinitely more flexible. Deflect was often a meta call, but I think we'll see Deflecting Slash added as a mitigation card in plenty of decks and while sequencing becomes more important, it shouldn't pose any problem. It'll be fairly easy to give away the Deflecting Slash in your hand if you have to consecutively pass to get the die removed, but it's great against big hitting supports and plenty of characters as well. If you also play Soresu Mastery then Deflecting Slash has incredible value, but it'll see plenty of play regardless. 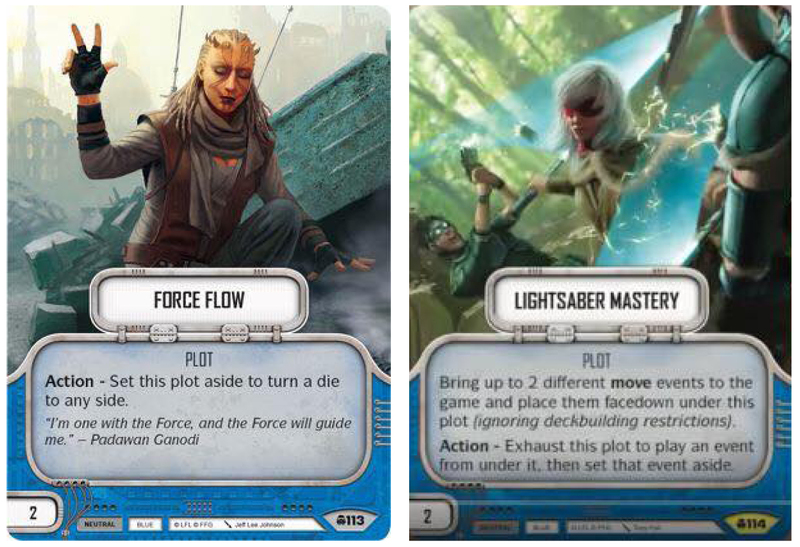 It belongs to the new group of "Event - Moves" cards that can be used in conjunction with Lightsaber Mastery. 2 resources seems like a lot compared to a card like Power of the Force. Sure, the math is different and does in fact support the price tag on Fatal Blow, but 2cost events are very difficult to squeeze into most decks. This could be a one-off and is like a neutral counterpart to No Mercy, but with a much lower ceiling. Expect Fatal Blow in average to add +2 dmg to a die. I consider Fatal Blow relatively weak in you deck, but pretty strong with Lightsaber Mastery. This will be good if you have a dice showing a value of 3+ (which would make it an Electroshock) while still being decent for dice with a value of 2. Yoda will hate it (no matter if he's on the receiving end or not!). I'm a fan of Twin Strike, and think it could easily find it's way into plenty of Melee based decks. While Mother Talzin will be sad to see Unyielding rotate out there are plenty of characters who'll be able to take advantage of Twin Strike. It's a huge bonus that its a free event, and it feels like a staple include in monoblue villain and hero decks. Another Awakenings reprint. I assume it's included because it's so thematic and screams Star Wars. It also screams bad. There are many better alternatives. While no-one can deny that Force Flow can come in handy in the late game and can close out games by turning a die to that exact side you need (or turn an opponent's die if needed), I would really have liked it to add Ambush as well. Giving up 2 character points is a lot for a Use the Force. Even if it is guaranteed. It also looks somewhat weak in a game where every imaginable character seems to have Focus sides. It's not a plot you build your deck around, but one that is added once character points have been tallied up. Will probably be a great include for blue/x mill decks to ensure that last Discard from hand, and while it potentially will do nothing, it could also be a game winning plot. There are currently just 2 "Event - Moves", but the inertial power of Lightsaber Mastery is there for everyone to see. It can potentially become of the best plots in the game (well ... Armored Reinforcement is the best). The more and the more powerful "Event - Moves" we see introduced in future sets, the more power Lightsaber Mastery will gain. Currently there are just four "Event - Moves", and while none of them are exactly game breaking, they are all worth bringing as your 31st and 32nd card, and the card advantage itself, larger handsize and flexibility, is definitely making Lightsaber Mastery one of the better plots in the game. Generally it looks like blue villains have the most to benefit from the plot, while ironically enough it might be eLuke3/eYoda who is the better pairing for it. This support is probably going to average 2 damage over the course of a game ... Honestly not sure the resource cost is going to be worth it. Players loved It Binds All Things and it was an auto-include for a long time in monoblue decks. 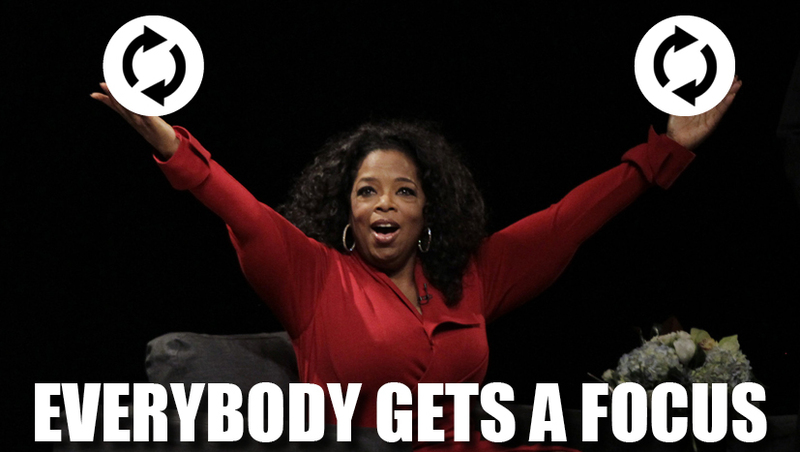 With Destiny rotating out I might consider it again, but I'm not a fan. It's weak if you don't draw it round 1, and even as a first round draw it's not amazing (especially if you don't draw a blue upgrade as well). At a glance, the Force Pull Special looks really strong and in particular with Yoda, but as Force Speeds are rotating out, Force Pull looks slow and cumbersome. Once in play, it will definitely force your opponent to get his sequencing right, but looking at the die itself and considering that the two Specials could be functionally Blanks, it's starting to look pretty bad. If you can add action cheat in your deck, then Force Pull could be the real deal, without ... well ... then it's not THAT big a deal. Could you imagine Destiny without Lightsaber as a staple card? No! Which is why it has been reprinted. 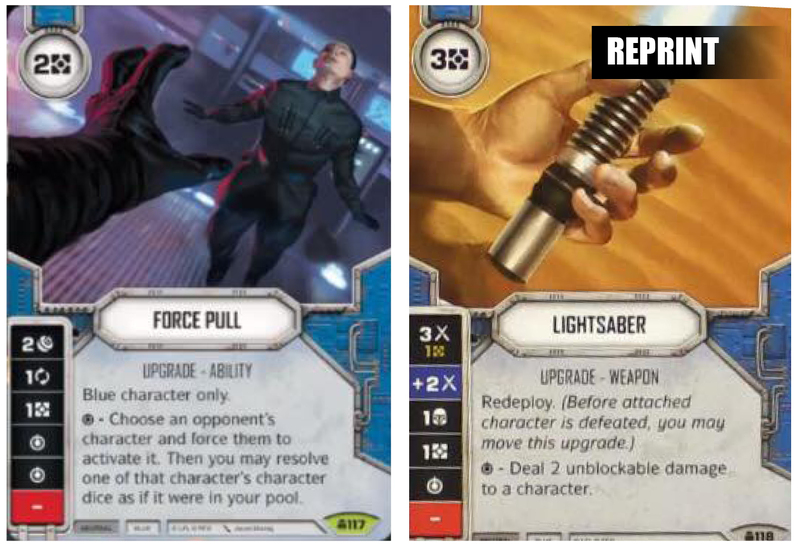 Could you imagine that the Lightsaber was a decent 2cost upgrade? Yes! Well ... it isn't! The alternatives are just too good. 3 resources is a lot for any upgrade. But I feel that Soresu Mastery is worth it. It has mitigation built into when you play it, which is an indirect discount on the upgrade, while the die sides are good, and the Special really good. If you can get Soresu Mastery in play early, it can facilitate huge damage swings throughout a game and looks tailor made for eLuke3/eYoda (which is in fact true for quite a few of the cards printed in the set). This is going to be the defensive players' go-to card and should see plenty of play in both midrange and mill decks. It also synergises well with Soresu Training (see below) so that it doesn't have to be a dead card in an early draw when you cannot afford it. It can be discarded and picked up from the discard pile later. The Special on Soresu Training is where the buzz is. Giving a character 2 Shields and essentially overwriting it with a Soresu Mastery for free is pretty decent. Due to the fact that the Soresu Mastery can be played from either discard pile or hand makes the combo less difficult to set up, although not one I'd build a deck around, and represent pretty good return on investment. Even if you fail to play a card titled Soresu Mastery, the die is still decent as is. 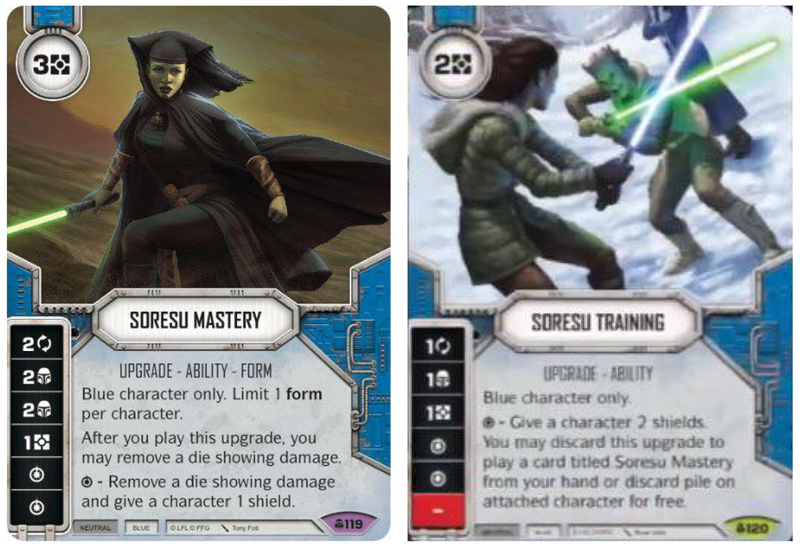 It's going to be interesting to see what other "Soresu Mastery" cards future sets has in store for us.